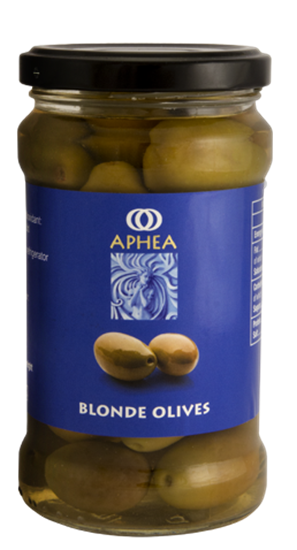 The green olives are table olives from Halkidiki, Kavala, Serres and many areas in Northern Greece. This olive variety has a long shape and the weight of the fruit is 5 - 11gr or more from 100 to 165 units per kg. The skin is hard, and the size is large, and this is the reason why this is the most common Greek variety that can be found stuffed with garlic, almonds, peppers or carrot.